Last Minute Cruises From New York - Which Cruise Line To Choose? Last Minute Cruises From New York – Which Cruise Line To Choose? 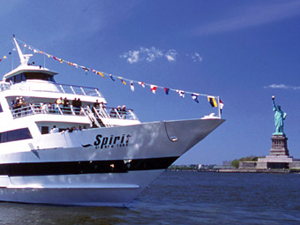 Looking for last minute cruises from New York that can take you to places like the Caribbean, Bermuda and New England? Then you’ve come to the right place. With so many different ships boasting so many wonderful itineraries, it is not an easy choice to pick which of the many cruises from New York are the best ones for you. A Bahamas cruise from New York can take you to Nassau, Freeport, Great Stirrup Cay or Half Moon Cay, all lovely ports of call that aren’t that far from home. Imagine leaving the big bustling city behind and lazing on the warm sandy beaches or snorkeling amid the varied marine life all while the amenities on the ship beckon. Last minute cruises from New York in this category like the Carnival cruise with stops in Grand Turk, Half Moon Cay and Nassau are currently on sale for the April 23rd 2013 sailing, with fares starting at just $349 per person. While this island isn’t technically in the Caribbean, many people think of her and her pink sand beaches in the same thoughts as Jamaica or the Virgin Islands. Cruises from New York to Bermuda allow you plenty of time to explore all that the island has to offer from her aforementioned beaches to her championship golf courses to afternoon tea and fort explorations. Sailing on April 16th, 2013 Carnival is offering their 7 night trip to Bermuda’s King’s Wharf at a savings of 82%, prices now start at just $329 per person, making it another great last minute cruise from New York. For something a little different, sailing to other ports on the United States’ eastern seaboard and Canada’s Maritime Provinces are exactly what cruises from New York to Canada can give you. Especially beautiful in the fall when the colors are at their peak, these cruises travel to ports like Bar Harbor, Boston, Portland, Halifax, Charlottetown, Newport, St. John and even parts of Quebec before heading back to the Big Apple. Not to be outdone, the popular Caribbean cruises from New York can’t be missed as Princess, Carnival and Norwegian all offer itineraries to the area with stops in Antigua, Curacao, San Juan, The US and British Virgin Islands, and Grand Turk, to name just a few. Scuba dive amid some of the most beautiful reef systems in the world, laze on the beach or take to the sky and try parasailing, the choices are virtually endless. Last minute cruises from New York won’t last long, so do yourself a favor and book that cruise you’ve been dreaming about right now. Soon you’ll be on your way to some of the best destinations the world can offer.